Six hundred years old, the Imperial Merchant Ship Chathrand is a massive floating outpost of the Empire of Arqual. And it is on its most vital mission yet: to deliver a young woman whose marriage will seal the peace between Arqual and its mortal enemy. the Mzithrin Empire. But Thasha, the young noblewoman in question, may be bringing her swords to the altar. For the ship's true mission is not peace but war -- a war that threatens to rekindle an ancient power long thought lost. 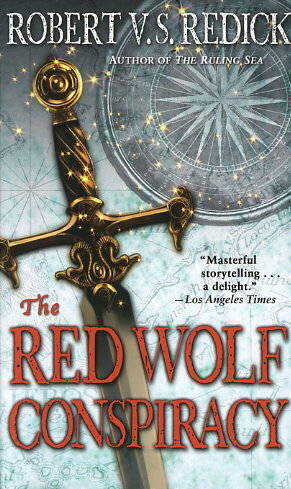 As the Chathrand navigates treacherous waters, Thasha must seek unlikely allies -- including a magic-cursed deckhand, a stowaway tribe of foot-high warriors, and a singularly heroic rat -- and enter a treacherous web of intrigue to uncover the secret of the legendary Red Wolf.